You know, I honestly try not to be as materialistic as my culture encourages. I try not to buy or desire more stuff. I don't want to waste money or space on more possessions that I don't need. But I have a couple of stumbling blocks. For one, I really really like clothes. For two, there are some stores that I don't get to often since they don't exist in Canada but when I do get inside, I can't resist a shopping spree. One of those stores is MUJI. I don't mean inferior MUJI Global with modest stores in London and New York et cetera. I mean, the proper multi-storey MUJIs in every major town in Japan with lots of classic fashions as well as minimalistic stationary and housewares. The other store is Target. Now, Target in Australia is fine enough but it's only the American Targets that have that specific design aesthetic that appeals to me. Cheap, cheerful and chic. I make an effort to check out the local Target store every time I travel into the U.S. Indeed, there have been times when my sole reason for crossing the border was to shop at Target, like last weekend for example. 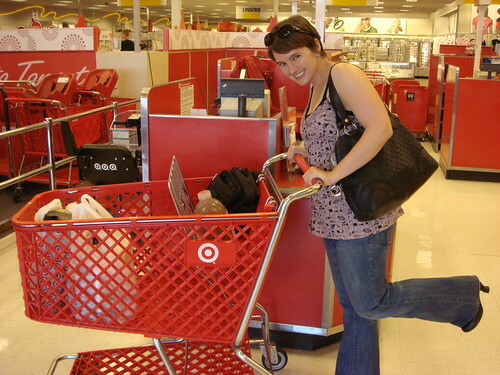 My cousin and cousin-to-be and I drove to the Dearborn Target on Saturday night for some post-funeral retail therapy. This part of Michigan seemed particularly down-and-out, which may be why so much of the Liberty of London line was still in store when it is sold out elsewhere. The spoils of my shopping: much less exotic U.S. candy than I'd usually bring home across the bridge since I wasn't hungry at the time. I'm delighted by the Liberty of London lingerie and I was surprised to find it still available. The clothing from the collection wasn't flattering in cut, however. The plum-coloured sheet set adds a dash of drama to my bedding. The hat was one of the Eugenia Kim for Target collection. 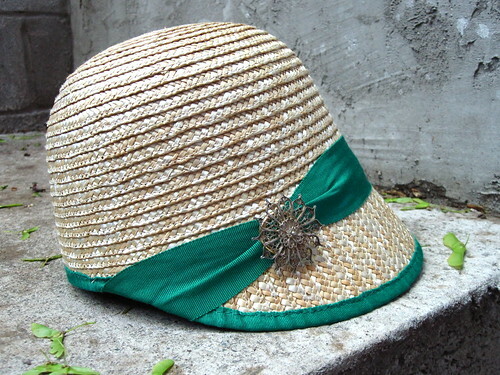 I could have easily given a home to any one of the four adorable straw fedoras in the collection, but since I already have and enjoy a straw fedora, I chose this 1920s style woven cloche hat with the ribbon in my favourite colour. Sweet! I've had so many compliments on it already! I have a number of hats but I truly do get wear out of them, they don't just become dust collectors. And finally: the snacks and candy section of Target always blows my mind. 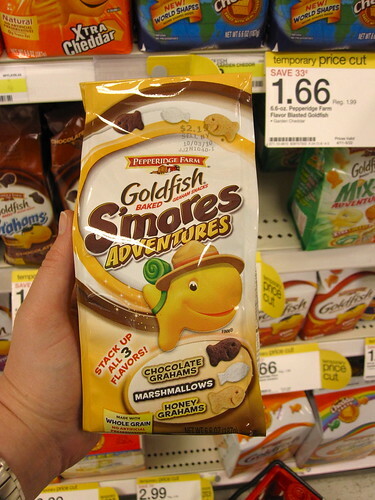 S'mores Goldfish crackers? Of course I had to try them. Are you a Target fanatic? Or is there another store that you make special trips to check out? I make a point of going to "HEMA" every time I visit Holland. It also has very unique designs. It's a cheap store, selling the same range of general stuff as Target, but they have design competitions and everything ust looks *nice*. when I moved away from Holland, I really missed the HEMA, and a few years ago I found a Dutch book in a bookstore called (translation) "I only miss the HEMA". It was a collection of interviews with people who had moved abroad, and of the approx 20 stories, THREE people explicitly mentioned that store when asked (in general) "What do you miss about Holland". Hey! I bookmarked that beautiful post you did about your grandmother and I've been meaning to comment. I see why others wanted copies of that. So sweet, and reminded me so much of my grandma who passed a few years ago, even though she was a little babushka who didn't speak any English. I think the sweet grandma habits are pretty universal and always heartwreching when they're gone. I'm really sorry for your loss. 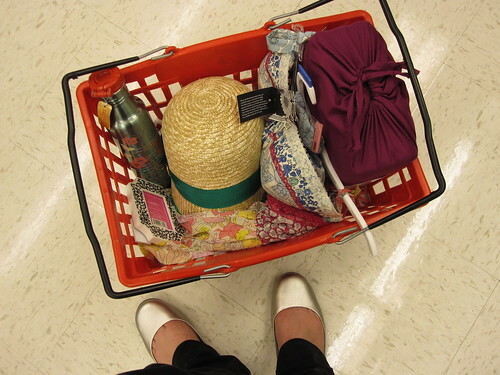 Ahh... retail therapy. I know it well. Does Target ship to Canada? If not, I can totally send you stuff you want! We can figure out reimbursement on PayPal. Just extending the offer. :) Seriously. Yeah, I didn't like the fit of the Liberty dresses either. Everything got picked over fast in Richmond, VA. I make special trips to IKEA. It's over an hour away, on the way to my bf's parents' house so, we ALWAYS have to stop for stuff for the apartment. 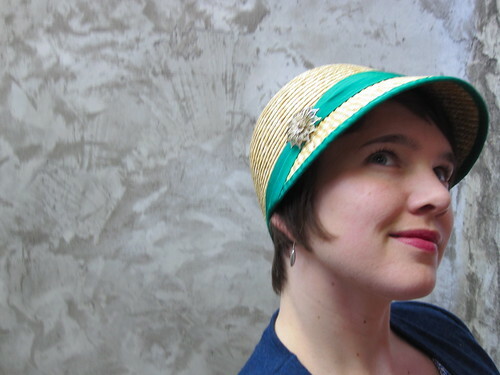 PS- your cloche hate makes me miss my short hair! Wish I could pull hats off better these days! ooh, I'm so jealous!! We don't have Target in Canada, and it looks like they have awesome stuff, all the time. That vintage-style hat is just incredible!! Looks like you had an awesome day of wonderful finds.